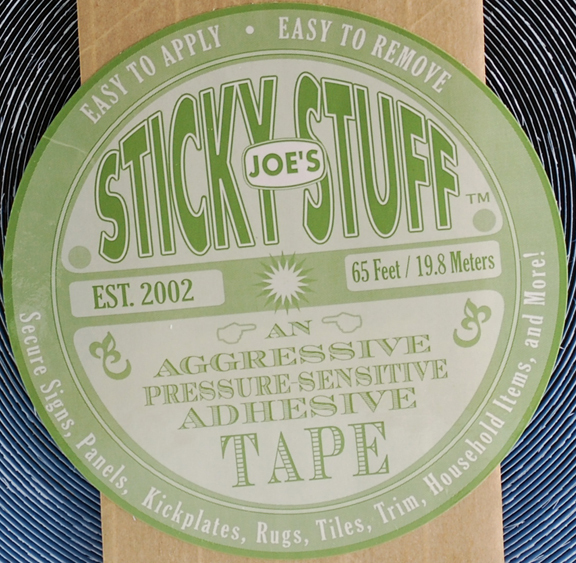 To apply Joe's Sticky Stuff™ simply tear off desired length, firmly place exposed tape onto surface of project and peel off backing paper. Joe's Sticky Stuff™ adheres very aggressively to some materials such as, but not limited to: paper, laminated plastics, plastic sheeting and certain wallpapers. Care should be used in all sensitive areas where damage may occur. SECRET TIP!! Leave a little tape sticking beyond the edge of your project. This will give you a "handle" to pull on for removal! 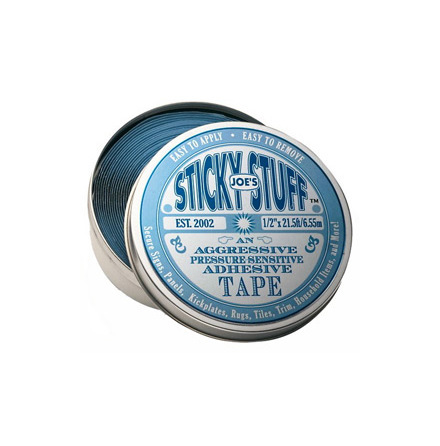 To remove Joe's Sticky Stuff™, simply pull the tape slowly in the direction it was applied. It will shrink right off of the surface leaving no residue or stains! !.